Ibec’s quarterly Retail Monitor survey has revealed a “concerning lack of real growth” in the sector in the first three months of the year, according to the Retail Ireland division of the employers’ lobby group. Irish consumers are growing in confidence and have started spending money again according to a new barometer which measures spending across eight key areas. The Irish consumer spending index published by Visa Europe reports that consumer spending in April was up 4.3 per cent when compared with the same month last year. It is the fourth year-on-year recorded the credit and debit card company. The latest Consumer Insights report from Empathy Research has found that close to two thirds (64%) of Irish consumers are aware of Alcohol by Volume (ABV or alc/vol) measures on a typical alcoholic drink. 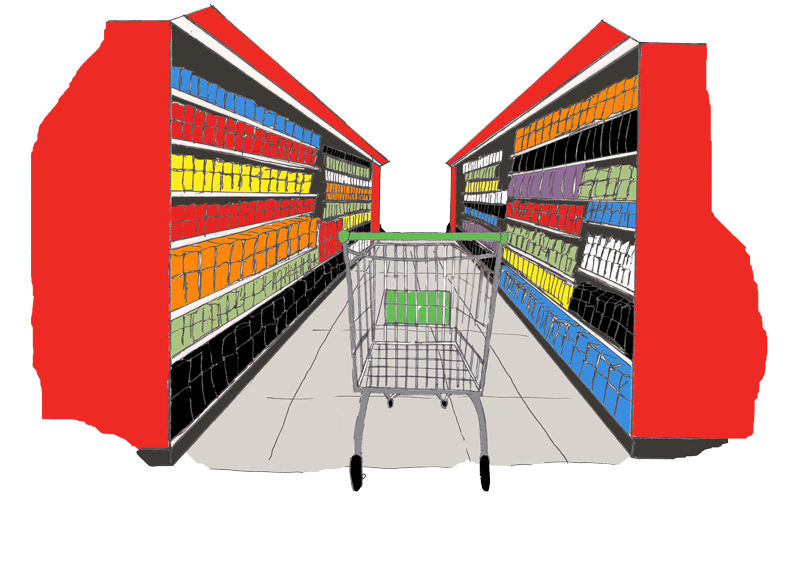 Tesco is fighting back in the store wars and the latest supermarket share figures from Kantar Worldpanel covering the 12-week period up to the end of April show the retail giant drawing level with and SuperValu. Retailer Dunnes Stores is to award its staff a 3 per cent pay increase, the trade unionMandate has said. The union said it had lodged a claim for a 3 per cent rise in mid April. It said that on Tuesday morning at in-store meetings across the country staff were told by the company that the increase would be paid. Industrial action at Dunnes Stores outlets in early April appears to have failed to deter shoppers from visiting its stores, according to the latest supermarket share figures from Kantar Worldpanel for the 12 weeks to 26 April. Convenience group Gala has signed a six-figure deal with Special Olympics Ireland to become Official Sponsor of Team Ireland. Gala’s partnership with Team Ireland marks a considerable milestone in the fundraising efforts of Special Olympics Ireland, who required €440,000 to send an Irish delegation to the World Games. Lidl is currently celebrating after dominating the 2015 Grocer Own Label Awards in London. The retailer beat off stiff competition to be named overall Champion, taking home 13 Gold medals and a record 23 Silver awards for its own label products, including eight medals for products produced exclusively for the retailer by local Irish suppliers. April was the fourth month in the last five in which business slowed down for Northern Ireland, with steep declines for construction and retail, a survey shows today. The Ulster Bank's monthly purchasing managers index (PMI) said there had been modest decline in output and new orders across all sectors, after a growth spurt in March.